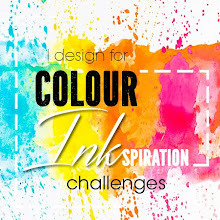 Twice a month we inspire you to join our Colour Challenge with amazing images from pinterest using our fabulous Stampin' Up! colours. My lovely lovely Sale-a-bration tin was calling to me for some embellishment, sooooooo I've used another AWESOME Sale-a-bration stamp set: Make a Medallion to tart up the tin!! The Medallions were stamped with Night of Navy first, and then the quiet Pool Party with some colouring of the medallion using the Gold Wink of Stella pen - which coordinates PERFECTLY with the tin!! I've used the Calypso Coral for the Large Letters framelits, but they look very very bright - this is because they are covered with some fine tip glue pen to make them shiny and glossy!! I sincerely hope you've been inspired! Next up on the hop is the amazing work of Mel. Please, join in the fun with our Colour Challenge. 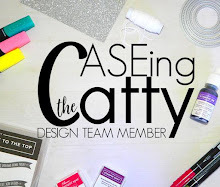 You can find our facebook Challenge Page here and add your projects in too!! We'd love to see how you create using these colours. 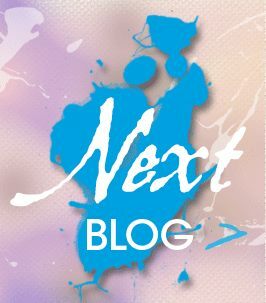 You don't need to have a blog - simply photograph your project and add it to our gallery. Please contact me as soon as possible (in Australia) if you wish to take advantage of the great opportunities during Sale-a-bration - and maybe you can earn this gorgeous tin too!! - contact me to find out how. Oh, gorgeous Julia, I have one I must decorate too...I am certainly looking at the medallions set to do this with now! Thank you Kim - yes, the medallions made it quite easy to decorate!! Thank you Nicole, it's a one of a kind tin now!! Thank you Kelly, I think it worked out well. Such a great way to show off so many SAB products. Love it. Thank you Lou, yes, I'm trying to use all my SAB products at once!!! Love your tin Julia! How clever! Thank you Mel, the medallions actually made it quite easy!! Thank you Nikki, yes, I was so pleased with the fit too!! 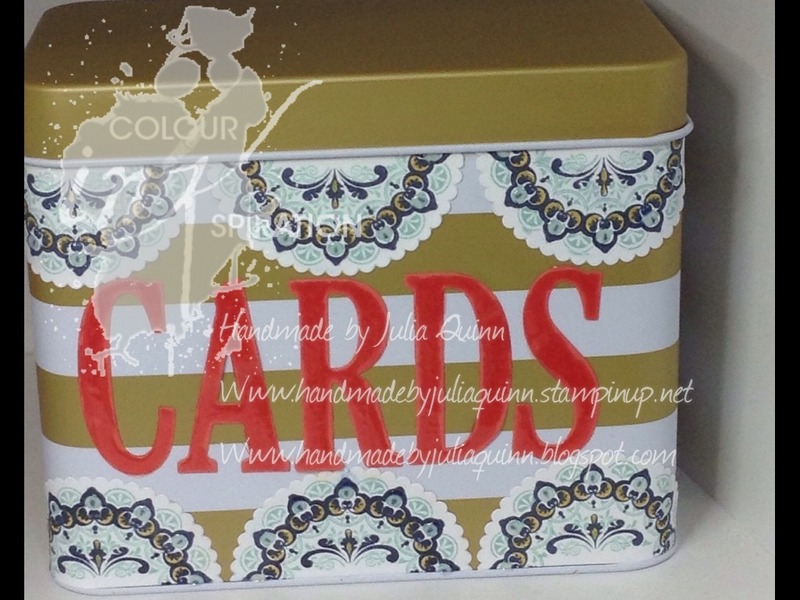 Love your embellishments on the tin Julia. What a great idea! Thank you Simone - isn't it great that the tin is gold and fitted into the colours so well!! 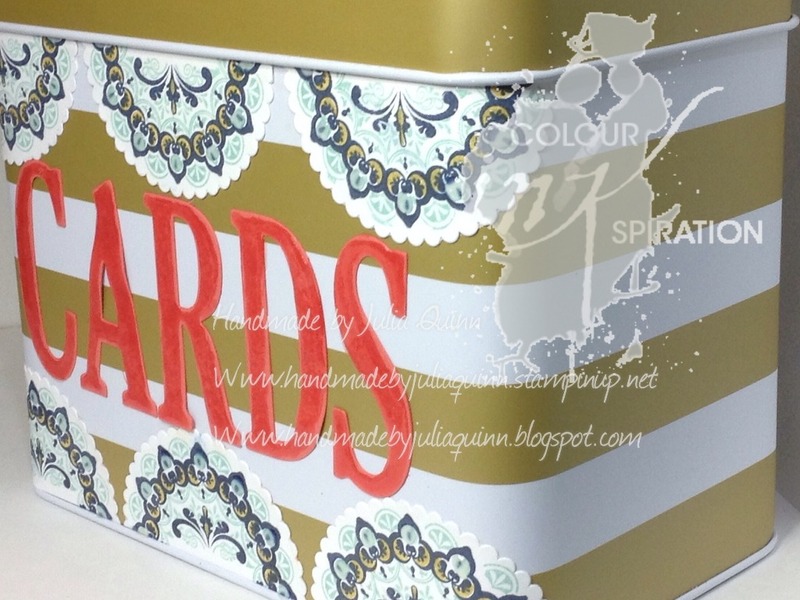 The tin looks very stylish with the embellishments you've added, Julia. Thank you Rachel. It is easy when the tin is so beautifully finished already. I love the contrast of the bold gold stripes behind the decorative medallions Julia. 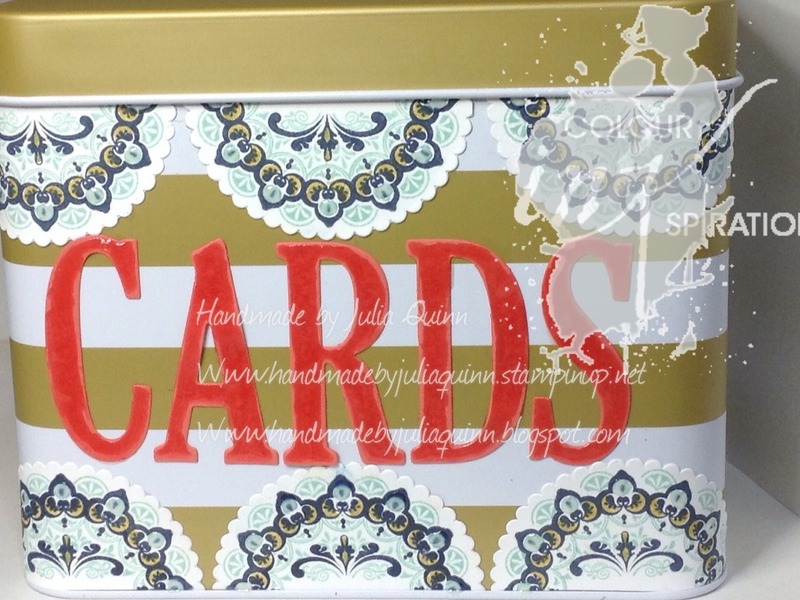 What a lovely background for your bold glossy letters! Thankyou Kim. I must admit that all I saw was the gold and thought this is over feet for the colours! And yes, it did turn out really well. What a fun way to embellish your card tin.